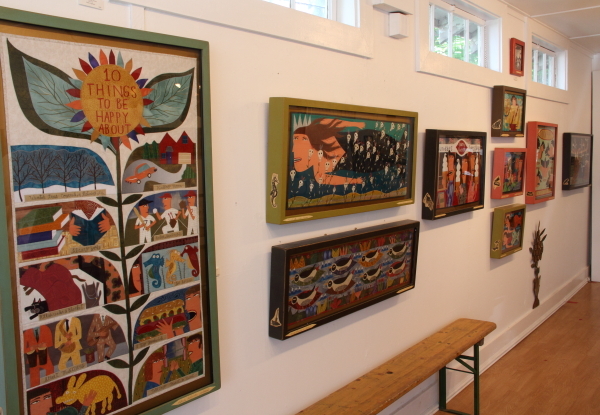 Earlier this summer, I found out that fabric artist Chris Roberts-Antieau opened a pop-up gallery in Edgartown on Martha’s Vineyard. Having her work so close presented an opportunity as well as the motivation to make trip. My goal was to get there before they close Oct 13th. So a couple of weeks ago, Rob and I picked an absolutely beautiful day to drive our boat across the sound to Edgartown harbor. 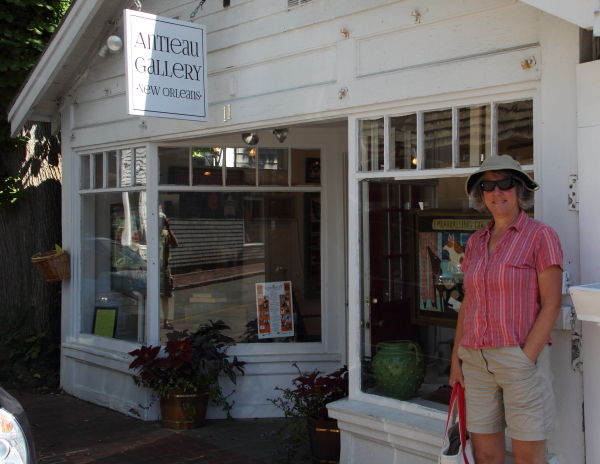 We easily found the gallery on a quiet side street, not far from the bustling tourist shops. 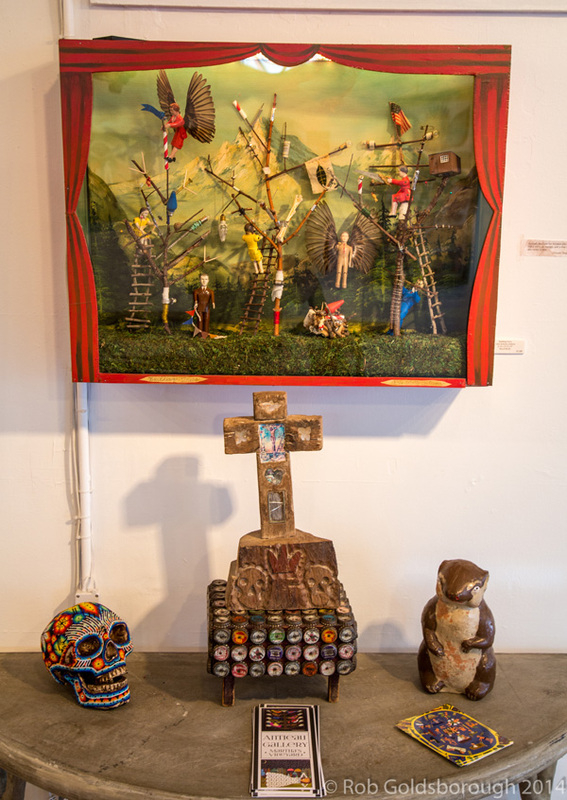 I first saw Chris’s work a few years ago at the American Visionary Art Museum in Baltimore. I was immediately attracted to her style and design sense, not to mention her use of fabric. 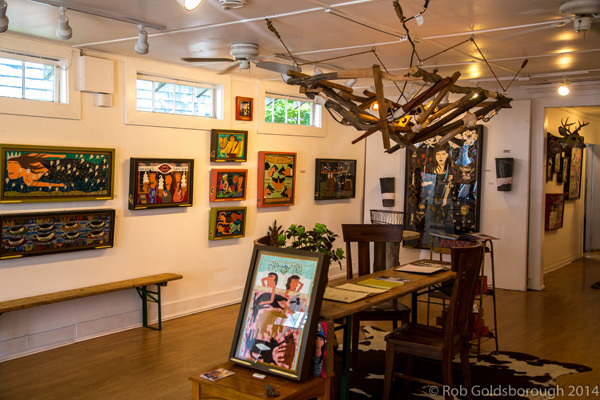 We talked with the lovely woman who’s managing the gallery for the summer, while Chris spends time in her Michigan studio. I can hardly believe how prolific Chris is, keeping the walls here and in New Orleans full of art. We learned that she has the help of assistants, who cut out many of the fabric pieces. Chris picks out the fabric and does the sewing machine finish work, though. I love her sense of humor and the storytelling quality of her pieces. Her work defies categorization and I can see that she’s benefited from going out on her own and not necessarily trying to fit into the art (or craft) world, quilt world or fiber art world. I also get the idea that she’s focused on creating her own vision and presenting it to the world. Now, that’s inspiring! This entry was posted in Inspiration, Travel by Salley Mavor. Bookmark the permalink. A very inspiring post! Thank you! Yes I met her at Baltimore art show and told her she should be in visionary! I bought her book and small piece. Love love her work also! Her work is very cool! I will delve further. Just looked at more of her work, wow, it’s pretty amazing and so original. 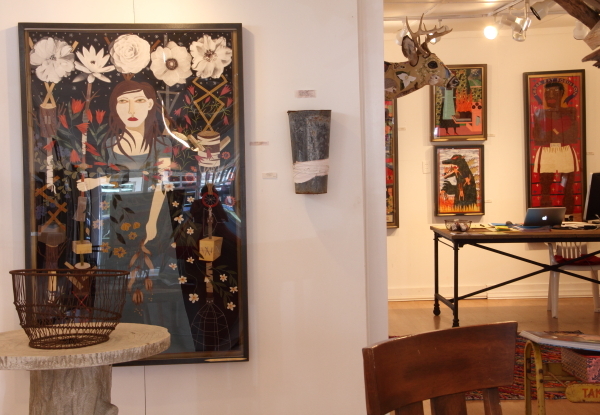 I can see why you are attracted to her pieces, they have the same whimsical wonderful quality that your work does. Thanks for sharing.